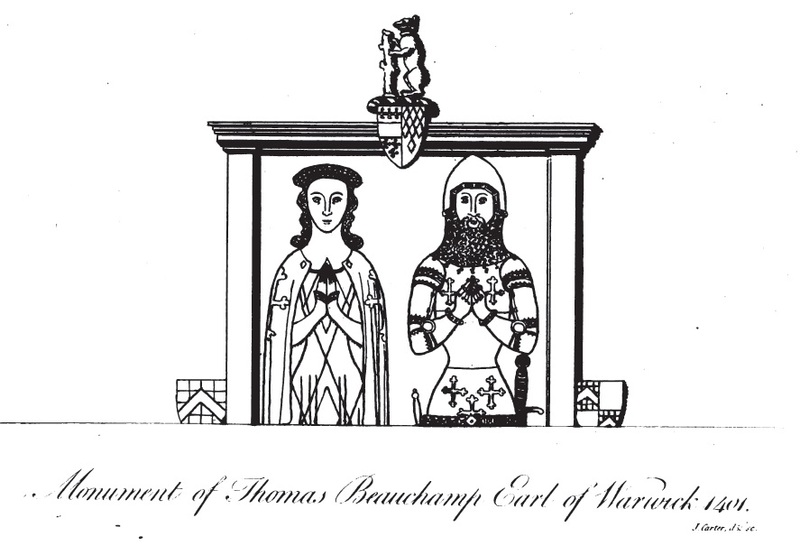 Monument of Thomas Beauchamp, 4th (12th) Earl of Warwick. See full size. From effigiesandbrasses.com. 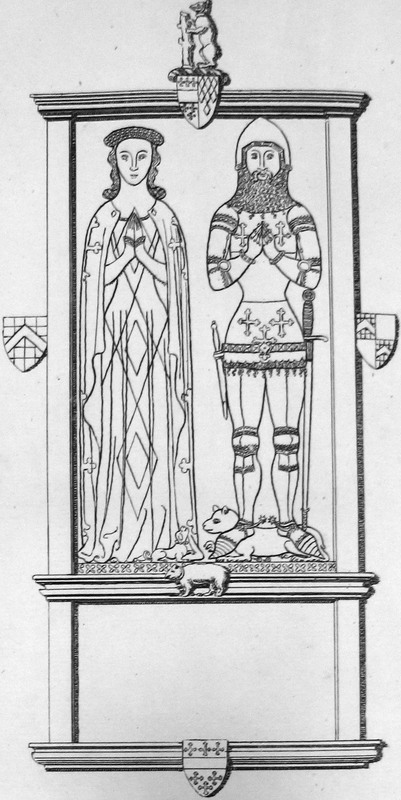 From p.12 of Some feudal coats of arms, Joseph Foster, 1902. Richard Beauchamp, 5th (13th) Earl of Warwick, born 1381. From Sepulchral Monuments in Great Britain, vol.2, 1796, by Richard Gough.